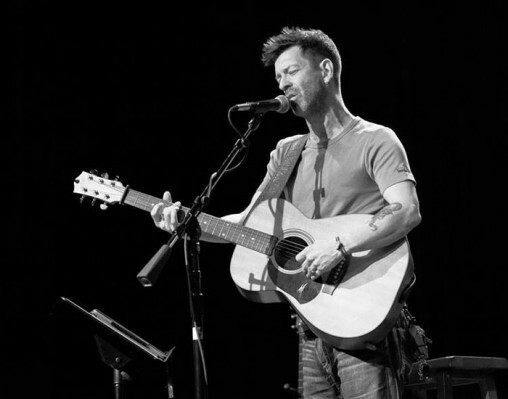 Singer-songwriter Travis Meadows will perform and discuss his life on May 20 in the Student Union Atrium. Armed with raspy vocals, a wailing guitar and powerful lyrics, Travis Meadows is a musician unlike any other. Having been through the hell of addiction, the ecstasy of religious salvation and a devastating bout with cancer that led to a leg amputation, Meadows channels his music straight from the soul. His lyrics recount his turbulent life. On Tuesday, May 20, Meadows will visit Wright State University to tell his story. The event will take place in the Student Union Atrium at 12:30 p.m. and is hosted by the College of Education and Human Services and Daybreak, a youth homeless shelter in downtown Dayton. It is free and open to the public. Meadows will perform numerous country songs and tell his story of homelessness, recovery, relapse and how reaching out is actually reaching up. Following his performance, there will be an open discussion on addiction, journaling and recovery. The Nashville native has released three albums, Old Ghosts & Unfinished Business, Killin’ Uncle Buzzy and My Life 101. To hear his music and learn more about the musician, visit Meadows’ website. To learn more about the event, contact Ryan Taylor, internship and community engagement coordinator in the Department of Human Services, at ryan.taylor@wright.edu.